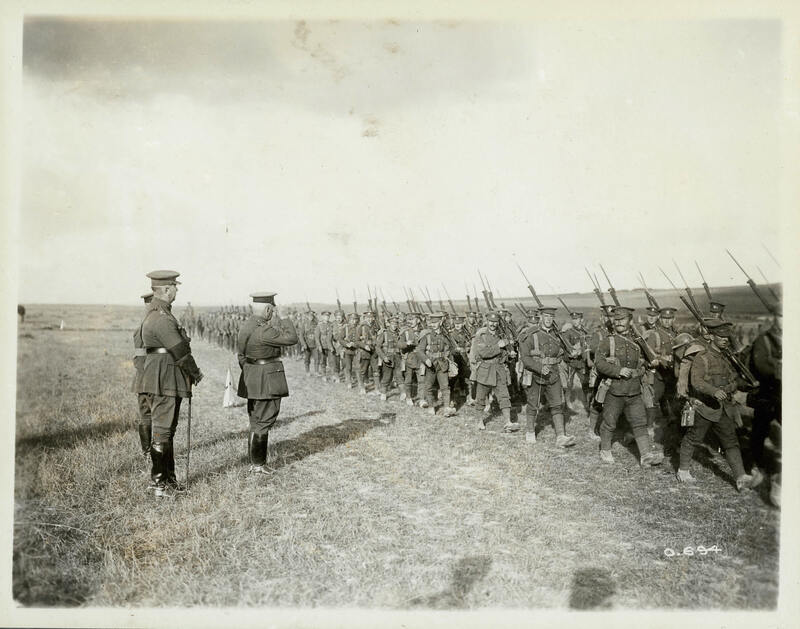 Canadian Corps, Summer 1916 The 1st Canadian Infantry Brigade marches past Minister of Militia and Defence Sam Hughes and Major-General Arthur Currie in the summer of 1916. The Canadian Corps would eventually grow to 12 infantry brigades in its four divisions. The infantry formed the primary strike force within the Canadian Corps, supported by machine-guns, artillery, mortar, engineers, medical units, and logistical formations.